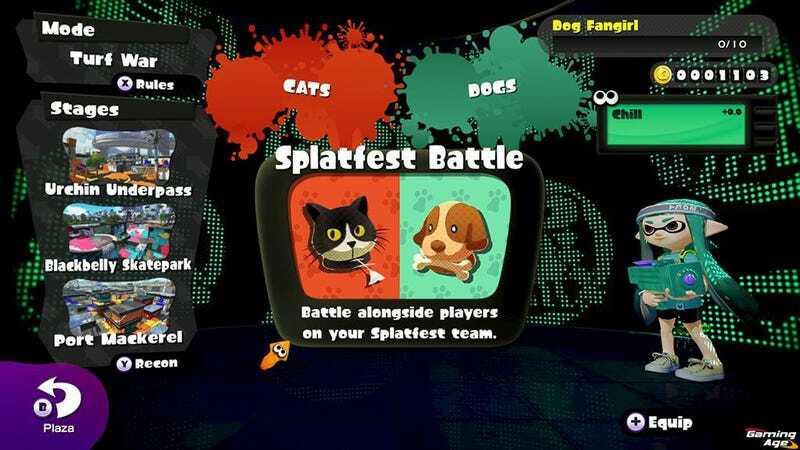 Turns out there were some issues with the Japanese Splatfest. As such, it looks like Nintendo will be delaying it for the US until next week while they resolve connectivity issues. I miss my dog shirt, but them’s the breaks. Still, it’s better that Nintendo resolve the issue than have a broken event.